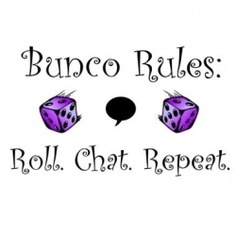 If you haven’t played Bunco before, but you are a pro at throwing dice then you are the perfect person to learn how to play. Bunco is a social dice game, traditionally played with 12 players who are divided into three tables with four players at each table. During each round, players attempt to roll the same number as the number of the round (for example, rolling three 3’s in Round 3 would earn the player points). Meets the 2nd Monday @ 9:45 AM, come for coffee, treats, great conversation & lots of fun. This group meets every 2nd Monday of the month for a great morning of Bunco playing. We are a fun group of ladies who play a simple dice game. We talk and laugh and drink coffee and eat, all while playing. If you have never played before or not in a long time, please come check us out. The location varies each month, the Interest Group Leader will notify the members about the location prior to the meeting.If you are interested in joining this group login to Members Corner or check your newsletter for the interest group Leader’s contact info. You and your partner will enjoy dinner, drinks and lots of fun. This is a great way is help our partners make new friends in San Antonio. This is a COUPLES bunco group only & each couple will take turns hosting. If you like to laugh and have a lot of fun this is the group for you!! Bunco Desperate Housewives meets the 1st Monday at 9:45 AM. The location varies each month. The Interest Group Leader notifies the members about the location prior to the meeting. This group meets on the 4th Wednesday and is currently full but we always welcome new additions to our sub list. This group meets the 2nd Friday of the month @ 6:30 PM, the cost is $10. This group is currently full. To be added to the email list as a substitute login to Members Corner or check your newsletter for the interest group Leader’s contact info.